Democrat Doug Jones has been officially declared the winner of Alabama’s special Senate election, after a lawsuit by Republican opponent Roy Moore was rejected by a judge. 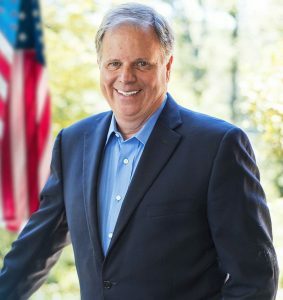 Moore’s lawsuit attempted to delay certification of the results in a last-minute effort to contest the outcome of the election. The lawsuit was dismissed minutes before the vote was certified. The Dec. 12 contest to fill Attorney General Jeff Sessions’ vacated Senate seat was one of the most memorable in recent history. During the contentious campaign, accusations of sexual harassment and misconduct followed Moore, who was twice removed from the Alabama Supreme Court for failure to follow judicial orders. The Republican National Committee originally withdrew its formal support of Moore, but reversed the decision after President Donald Trump officially endorsed him. Moore’s lawyers said they are certain voter fraud occurred in the complaint, which accuses Alabama Secretary of State John Merrill of not doing enough to investigate the claims. The lawsuit requested that the state launch a fraud investigation and hold a new election. Moore’s lawyers did not provide details on exactly how they believe fraud occurred. Merrill said Moore’s campaign had not informed his office of specific allegations to investigate. The complaint cited several supposed examples of voter fraud. A poll worker submitted a sworn affidavit saying she had never seen so many people vote with out-of-state driver’s licenses. However, Alabama law permits people to vote with a state-issued ID from any state. A viral interview taped the night of the election featured a man who indicated that people from all over the country had come to vote and canvass for Jones in Alabama. The man was later found to be a registered voter in the state. Moore’s actions after his loss were not surprising to many who have followed his political career. He still has not conceded his losses in the 2006 or 2010 Republican primaries for governor.